What is the mission and purpose of your job search? Without a defined mission and purpose, how do you know if you’ve found the right position? This is the 2nd post in the Negotiator Job Search series. Effective negotiation is effective decision making, plain and simple, and the foundation of effective decision making is a valid mission and purpose to guide it. This is the bedrock in my system. How can you stay on track during a long negotiation or endeavor of any kind without a clear mission and purpose? There’s no other way. Bit if you develop and adhere to a valid mission and purpose, how can you go off the track? If you have a valid mission and purpose, and the result of your negotiation fulfills this mission and purpose, it’s a good and worthwhile negotiation. If you want to leave your current position because of the boss, pay, working conditions, travel, stress levels or whatever is driving you nuts, you need to clearly state this! I want to move into marketing where I get to work on strategy. I do not want to manage people, but be the catalyst for creating innovative products. I have had a couple of clients who have been approached about positions where they would be managing a team. My question to them each time is, “Do you want to manage people?” Each time, the answer was a resounding NO! So why are you considering the position? Get clear on what is the mission and purpose of your job search. I want a marketing position where I get to work with a team that I like and get adequate compensation to allow me to pay the bills. What do you want to go to and not runaway from? When you want to leave a position, it is sometimes easy to pinpoint what you are running away from. The better question to ask is what do you want to create, preserve, eliminate, or accept in your next position? You can read more about this model from Marshall Goldsmith in my post Career Reinvention – A Model for Change. I recently had a conversation with a job club member who was unemployed. She took a temporary project management position with a local company. Her previous employer allowed her to work from home 100%, and this allowed her the freedom to take care of an elderly parent when needed. In that temporary job, she learned just how important having freedom at this point her life was to her. To Create – What do you want to do differently in your next job? To Preserve – What do you want to maintain from your current job? To Eliminate – What do you not want to remove from your experience? To Accept – What do you not like but are willing to accept in a job? These can be around compensation, benefits, team, boss, manager -vs- individual contributor, work life balance, office environment, and just about anything else that relates to work. Recently, I had a client who interviewed with a company that has an open collaborative office environment. Everyone sits in one big open room. My client is easily distracted, so this environment would be very tough on her. She needs to be able to work in a quiet, secluded place for at least part of the day. Get clear on what you want. You may not get everything you want, but having a clear mission and purpose is vital. 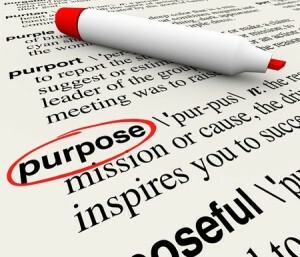 What is your Mission and Purpose in your job search? The negotiation process in your job search should start by writing your mission and purpose statement before you start your job search!